Google has launched Android Things for android application developments with IOT, to heats up the device market with a new Android OS for the Internet of Things. The new OS contains feedback from Google's previous Android-based IoT OS, Brillo. Android Things integrates Weave, the communication platform for IoT devices. OS uses Weave server to handles command propagation, storing of states, device registration and integration with Google services like the Google Assistant with the help of new public SDK for weave communication protocol. Primarily Google's weave device SDK will support sachems for light bulbs, smart plugs and switches, and thermostats and later on company will add more devices to list. Google is also working to merge "Google Weave" and "Nest Weave" together to giving devices on both platforms an upgrade path going forward. 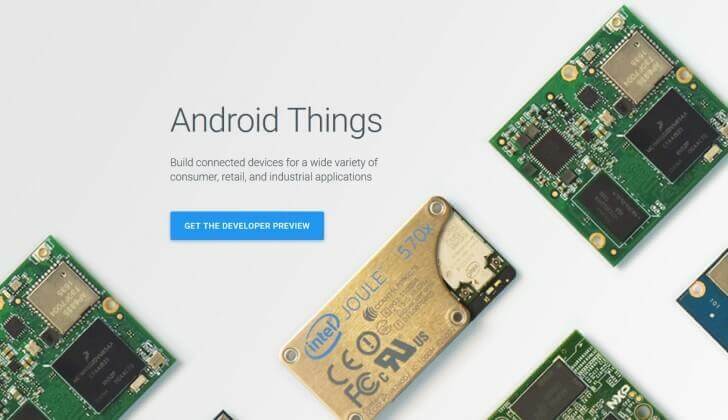 Google claims android things will make android app development simple as never before, If you can build an android application , you can build a device. Android thing allows developer to built device powered by android things using Android APIs and Google services. Microsoft's Windows 10 IoT to hobbyists and OEMs. Despite not having any device OS, Amazon is making AWS Lambda available to IoT developers. AWS is partnering with device manufacturers to bundle Lambda Greengrass, a local version of AWS Lambda that can be installed in IoT devices and hubs. Though Google doesn't have potential client tale at this moment but there is short list of clients using weave to connect to goggle assistance includes SmartThings and Hue whereas "Belkin WeMo, LiFX, Honeywell, Wink, TP-Link, First Alert are working on adopting Weave, too. The Android Things, a highly secure platform with regular updates is going to acquire a high market share for IOT, The OS will soon have a public source code release, which sounds exciting for whole android app developer community. Here are some interesting facts about "Android Things"
Android Things is a re-branded version Google's Android-based Internet of Things initiative Brillo. Brillo used C++ while Android Things targets all Java developers as the primary development environment. Android Studio, the popular IDE for Android based on JetBrains' IntelliJ IDEA can be used for IoT development through Android Things. Android Things OS supports a subset of the original Android SDK. APIs that require user input or authentication credentials are not supported. OTA updates for Android Phones can also be used for Android things OS updates and custom app updates. Google recommends Raspberry Pi 3, Intel Edison, and NXP Pico for the initial prototyping and developing. Google Cloud Platform components including Firebase can be easily integrated with Android Things. Android app developers will be able to utilize various cloud services for storage, state management, and messaging. Vaibhav is CTO at Prometteur Solutions Pvt Ltd. He has massive experience in Android, Java and MySQL. 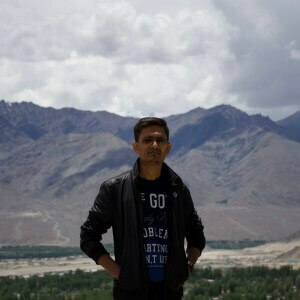 He loves to write about technology and latest trends and innovations in technology sector. Is it better to launch the website or the mobile app first for a startup?